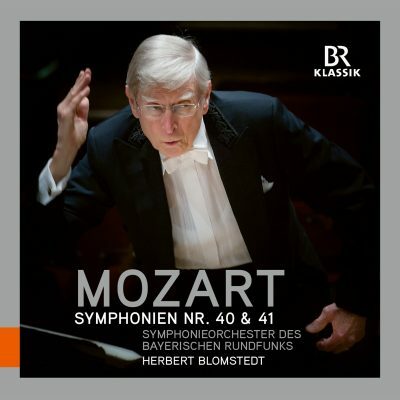 The eminent Swedish conductor Herbert Blomstedt, a close associate and regular guest conductor of the Symphonieorchester des Bayerischen Rundfunks, conduct the last two symphonies of Wolfgang Amadeus Mozart. For today’s musicologists, performers and concert-going audiences, Mozart’s final symphonies are still a veritable miracle. Why they were written remains a mystery, and no-one knows whether Mozart ever heard them performed during his lifetime. Apparently he needed just nine weeks to compose all three Symphonies Nos. 39, 40 and 41 – an almost unbelievable achievement even for the Salzburg musical genius Mozart. He wrote very quickly and, to a certain extent, “pre-composed” his music intuitively in his mind; all he had to do after that was transfer the notes to paper. The symphonies in G minor, K. 550 (no. 40), and C Major, K. 551 (no. 41, also known as “The Jupiter”) are the ones that most represent Mozart’s symphonic legacy to later generations of musicians. As early as 1800, the popular “Great” G minor Symphony was praised as the “painting of a passion-stricken soul”. Like its big sister, the “Jupiter” Symphony in C Major, it numbers among the most-played works in classical music and has been immortalized in countless recordings. Nevertheless, these symphonies – probably the most profound ones before Beethoven – reveal themselves as something quite new in every interpretation. “Mozart placed all the dark sides of human existence into his G minor Symphony”, says Herbert Blomstedt, adding that its “passion” continues to fascinate him. The eminent Swedish conductor Herbert Blomstedt, a close associate and regular guest conductor of the Symphonieorchester des Bayerischen Rundfunks, conducted the G minor Symphony in concerts on January 31 and February 1, 2013 and the “Jupiter” Symphony on December 21 and 22, 2017 in the Herkulessaal of Munich’s Residenz. The new CD from BR-KLASSIK now presents these two great cornerstones of Mozart’s symphonic oeuvre –in the very best sound quality.